HURRICANE NAMES: Is your name next? Over the last month, Hurricanes have been thrust into the spotlight by the devastation from Hurricane Harvey. With so much interest in hurricanes, many are wondering if their name could be next. AUBURN, Ala. (EETV) - Football fans and Swifties alike are inwardly screaming. On Jan. 8, Atlanta’s newly opened Mercedez-Benz Stadium is set to house the 27-year-old music sensation during halftime of the College Football National Championship. Due to a counter offer to perform at “America’s Got Talent” on the same day, Bebe Rexha will no longer be performing at the UPC sponsored Auburn Airwaves concert. At this time, there are no definite performers contracted to replace Rexha. Auburn, Ala. (EETV) - Football game set for Sept. 1 between high school rivalries Auburn and Opelika spark conversation within the community. On Sept.
Beba Resta and 2 Chainz to perform at Auburn Airwaves. AUBURN, Ala. (EETV) - The Auburn Universty Program Council (UPC) just announced this year’s Auburn Airwaves concert. On Sept.
Auburn, Ala. (EETV) - Nearly 1,000 students filled Beard–Eaves–Memorial Coliseum Sunday night for the kick off of Emerge at Auburn. 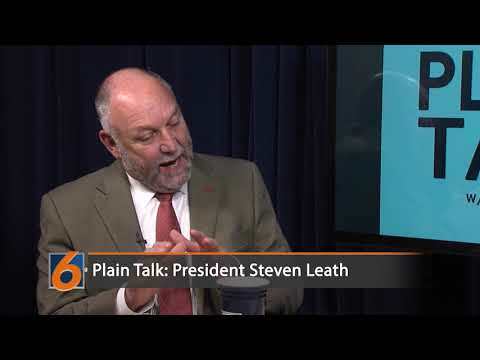 The evening featured several speakers including a keynote from Auburn President, Dr. Stephen Leath and stand up comic and Auburn Dad, Jeff Fox Worthy. Foxworthy used the acronym "redneck" to remind students of the skills and attributes they will need as a leader. Over the next year, Emerge students will be participating in a special speaker series and several events designed to grow their leadership potential. Emerge is a new leadership program on campus this year replacing its successor Freshman Leadership Program (FLP). Rather than the one year FLP program, Emerge is a four year successive leadership experience designed to help students find an "alternative future worth forming." 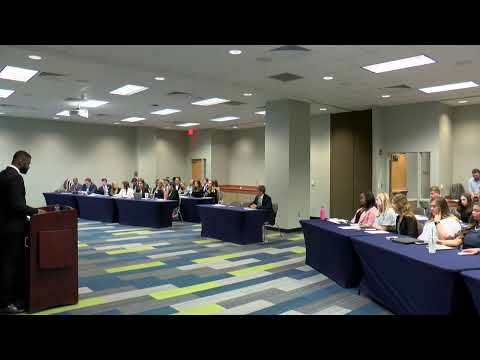 The goal of the program is to help Auburn men and women develop the leadership skills to lead on campus, in the community, and in their future career field. AUBURN, Ala. (EETV) - Chances are, if you were anywhere near the student center and campus green last night, you stopped to bob your head to the beat only for a moment until switching to full on dancing as COIN’s energy filled the grounds. Based in Nashville, TN. Taylor Swift has done it again. Taylor Swift is known for many things - dancing like nobody’s watching, expressing a devotion to her cats, relating to her fans through songs featuring milestones we’ve all lived - and, as of yesterday, she can add announcing a new single and new album all in one day to that list. 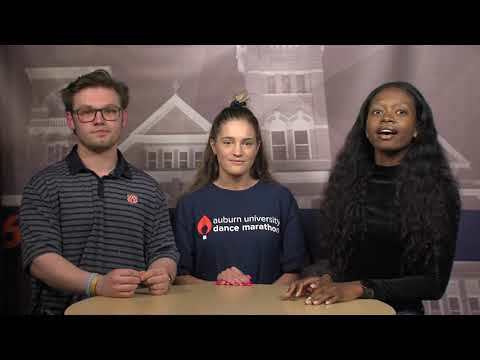 Auburn, Ala. (EETV) - As the first week of classes nears its completion, students can look forward to kicking off the weekend with two free concerts. AUBURN, ALA. (EETV) - The top five Miss Homecoming candidates were announced Wednesday night. Cater Lawn was filled with hundreds of supportive friends as the top five candidates for Miss Homecoming was read aloud by the Elections Board.The girls made their way through the crowd toward the top of the stairs and were met with a contagious wave of cheering and clapping from their respective nominating organizations. As we draw nearer to naming Miss Homecoming, the number of girls has been narrowed considerably each callout: The 43 girls who submitted platforms was trimmed to 20 on Tuesday evening with the top five following tonight. A breath of relief combined with overwhelming joy was evident for Camille Smith who said “this whole experience... I can only say it has been surreal” after being nominated by her sorority, Alpha Delta Pi. For Nicole Finley, this entire experience is beyond a pleasant surprise. AUBURN, ALA. (EETV) - Callouts for the top 20 Miss Homecoming candidates were revealed tonight on the back steps of Cater Lawn. Auburn, Ala. (EETV) - Whether meeting a friend for lunch or grabbing a quick snack before class, on-campus dining is a routine and integral aspect for many students at Auburn University. Auburn, Ala. (EETV) - Forget broke, tired, and hungry: Your guide to eating FREE the first week of class It is a known fact that a college student is always on the lookout for a free meal. 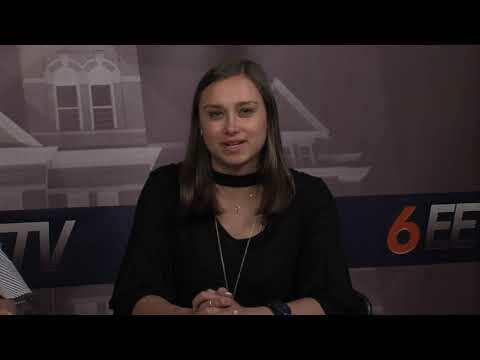 Auburn, Ala. (EETV) - Fall Roundup and Taste of Alabama Agriculture, better known as Ag Roundup, will celebrate its 38th year on the Auburn University campus homecoming Saturday, Sept.
Auburn, Ala. (EETV) - Construction on the Jay and Susie Gogue Performing Arts Center has begun. The project will construct an 85,000 square foot building which will provide high quality, performance venues in support of musical, theatrical, dance, guest speakers and other events. Program requirements include a multipurpose venue seating approximately 1,200 guests, box office, catering kitchen, wardrobe and dressing rooms, and conference and support office spaces. (EETV) - There seems to be a national holiday everyday of the week. Today’s is a special holiday for the team at Eagle Eye TV. July 27 is recognized as national intern day. Many of us are familiar with the app snapchat, but are you aware that NBC News is about to launch a news show on Snapchat? The show will be called “Stay Tuned” and we be found on thr Snapchat Discover platform. AUBURN, Ala. (EETV) — The Auburn University Board of Trustees today approved naming the institution’s new performing arts center in honor of retiring president Jay Gogue and his wife, Susie. The Jay and Susie Gogue Performing Arts Center fulfills the Gogues’ vision for a world-class performing arts center at Auburn University. The June 1-2 CWE Session had a familiar face for many incoming students. An incoming freshman from Brentwood, Tennessee achieved social media celebrity status when she was accepted into Yale with a 34 on the ACT and an award-winning 200-word essay about her love for ordering Papa John’s pizza. Her name is Carolina Williams.